The Elder Scrolls Online: Summerset builds on ESO's Chapter structure introduced last year with ESO: Morrowind. Chapters deliver massive amounts of new content and features that are equally accessible and fun for both existing and new ESO players. New Players: New players can jump right into The Elder Scrolls Online: Summerset and start a character in a fresh tutorial and starter area, without needing to play previous ESO content. Continuing the epic meta-story that began in 2015 with the Orsinium DLC Game Pack, players will once again face the Daedric conspiracy that threatens to destroy all of Tamriel. At the behest of Queen Ayrenn, who has opened Summerset to foreigners by royal decree, players will embark on a sweeping adventure to rejoin the infamous Khajiit spy Razum-dar, meet the mighty sages of the Crystal Tower, and fight for Tamriel's fate once more. Amongst the beauty of the ancestral home of the High Elves, shadows rise and rumors spread of strange disappearances. A corrupting influence works to destroy High Elf society from within, and now, whispers stir of Daedric followers organizing in the shadows. The Elder Scrolls Online: Summerset introduces one of players' most requested features, an all-new crafting ability - Jewelry Crafting. Players will be able to forge potent new gear to bolster their power for their new adventures, leveraging their experience and resources to gain every advantage to succeed on their quest. The Elder Scrolls® Online: Summerset® ©2018 ZeniMax Media Inc. Developed by ZeniMax Online Studios LLC, a ZeniMax Media company. ZeniMax, The Elder Scrolls, Summerset, ESO, ESO Plus, Bethesda, Bethesda Softworks and related logos are registered trademarks or trademarks of ZeniMax Media Inc. in the US and/or other countries. All Rights Reserved. This Product comes with both the base game and the Summerset DLC. 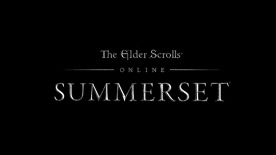 If you already own the original Elder Scrolls Online, please look at purchasing the Summerset Upgrade.